Sew Sweet Handmade Clothes for Girls: 22 Easy-To-Make Frocks, Skirts, Pants & Tops Your Little Girl Will Love! 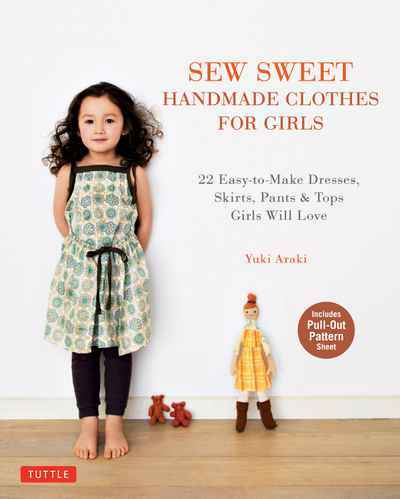 Blogs and social media are raving about Yuki Araki-one of the most recognized names in the growing sewing-for-kids movement. The mother of two daughters, Araki has become a DIY favorite because she knows what young girls want. They like to wear stylish clothes that also let them play with ease. Mums adore the relaxed aesthetic of Araki's simple mix-and match play clothes and accessories, and young girls are happy wearing them because they're both cute and comfortable.